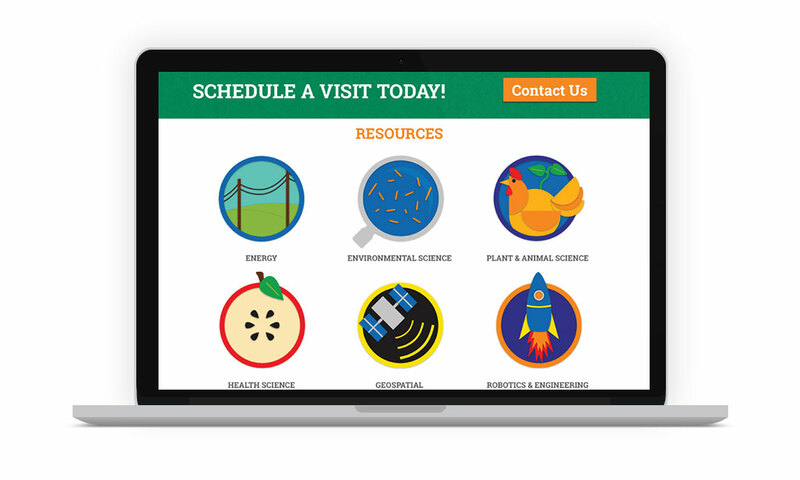 Science on the Move is a South Carolina 4-H initiative designed to bring science curriculum and resources to communities throughout the state. 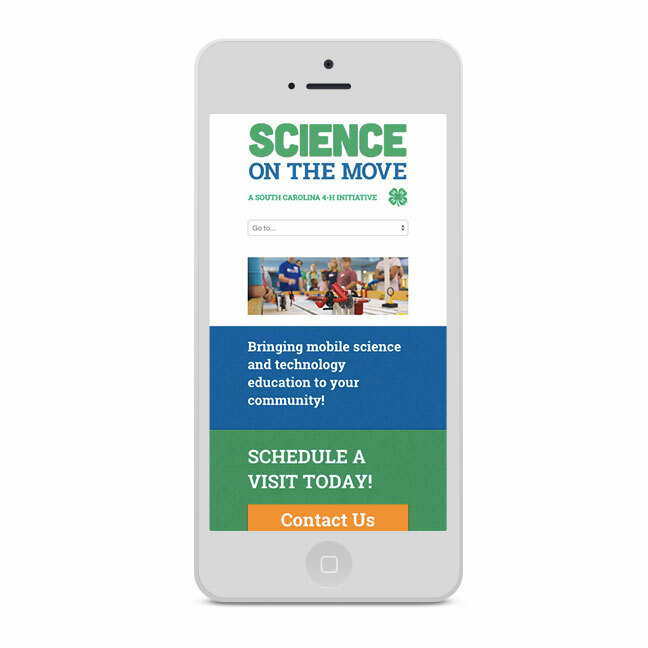 Designed to increase students’ exposure and interest in Science, Technology, Engineering, and Math (STEM), Science on the Move has developed an extensive range of cutting-edge equipment and lessons all packed into a mobile platform with the ability to reach underserved youth in rural areas across the state. Armed with a trailer full of equipment and an idea to grow her project, Robin Currence, Chester County 4-H director approached Sara of 137 North for a way to create an identity and expand the reach of the program. We created a system focused on bright primary colors and a look that would appeal to children and parents alike and an icon system to emphasize each area of focus.